What Defines the Number of Days in a School Year? Mid-term exams are upon us which means that we are about half-way home for this school year. Time has flown by and I am really happy with what I am seeing in classrooms this year. I know that some people are concerned about the number of emergency closing days that we have had to use so far this year. To dispel any rumors about us having to use spring break for classes if additional snow days are needed, we do have two emergency closing days left that we can use without impacting a vacation time (they might impact other days on the schedule, but time will tell). By contract our students need to be scheduled for 183 days. 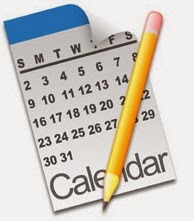 New York State indicates that the minimum number of student contact days can be 177. We have had four emergency closing days and that is why we have two left, if absolutely necessary. I should also note that these two remaining days will not be given back at Memorial weekend because we like to keep student contact days at West Genesee to a minimum of 180 days, and we are already below that number. I will know more as we leave winter behind and head into the spring. There is a Chill in the Air: This week is supposed to be very cold once again. Please remember that we use a regular temperature of -6 and a windchill of -25 when we discuss delays and closures. Hats, gloves, and coats make great accessories this time of the year. As always, parents have the right to keep their children home if they feel the conditions are too inclement. If we are open, it means that I am comfortable with my own child being on our school buses, driving himself, or driven by friends to and from school. Wildcat Joins the 1,000 Club: Girls basketball player Melissa Fumano had an awesome week. She became only the third Wildcat to score 1,000 points. She joins Alyssa Sutherland (2009) and Kelly Knapp (1990). Congratulations! Musical at the High School: You know who is under a lot of pressure right now? The Guys and Dolls cast and crew. Just like the Marching Band the expectation of the High School musical is that it will be of such high quality that people will walk away feeling that what they saw and heard was better than professional musicals held downtown. The four emergency closing days impacted their practice sessions and they are now really energized to put together the type of show that we have all come to expect. I made sure to reserve my balcony tickets! Show times are 7:00 p.m. on February 6 and 7, and 2:00 p.m. on February 8, 2014. Seats for all three shows are reserved and are $12 each. You can purchase presale tickets online by going to our www.etix.com ticketing site. Just type in "West Genesee" in the search bar and you can select your exact seat. You can also call the Ticket Call Center at 1-800-514-3849, ext. 4. Tickets can also be purchased at the door. We are truly fortunate to have the talent we have. Click here for more information about the show. Academic Decathlon Team Moves on to State Competition: On Saturday, January 25 the West Genesee High School Academic Decathlon Team came in third place behind Cazenovia High School and Westhill High School. All three teams will go on to compete at the NYS competition in March. Congratulations! Governor's Budget is Unveiled: On a broader note, I want you to know that the Governor's budget presented last week includes a substantial increase to schools, on paper. Unfortunately, due to our academic success and lack of extreme poverty we will not qualify for much of the money that the Governor is making available. A quick preliminary look at our budget shows us about $1.7M from being balanced. We are waiting for our elected officials to take a hard look at the budget and see if they can get some of the allocated money into areas that all schools can benefit from. In the next two weeks, I will provide you with an update about any budgetary changes or reductions that we will have to make for next school year. Tax Exemption for Our Veterans: The Governor also approved a new tax exemption for our veterans. Before this action, veterans received a reduction on their county, town, and village taxes. With the governor's action, schools can now opt to also give veterans a break on their school taxes. The discussion surrounding this is very interesting. A school can choose not to give the exemption, give the exemption at the county level, or give the exemption at another level (all outlined in the bill of law). We did some quick math and if the district adopts the county level exemption for example, non-veterans in our District will pay $52 per $100,000 of assessed home value in increased tax rate BEFORE we create our budget for next year. Since I have been here in 2008 our tax payers have paid approximately $12 more on their school tax bill, so this would certainly be a change. West Genesee also has the lowest tax rate in the county compared to similar schools, and we have the sixth lowest tax rate in the state. Personally speaking, I would pay that increase in a heartbeat because of my feelings about veterans and also because I am not on a fixed income. The Board of Education will hold a Public Hearing on February 12 at 6:30 p.m. in the high school library to discuss this issue. I will certainly keep you posted as this exemption is discussed in more detail. 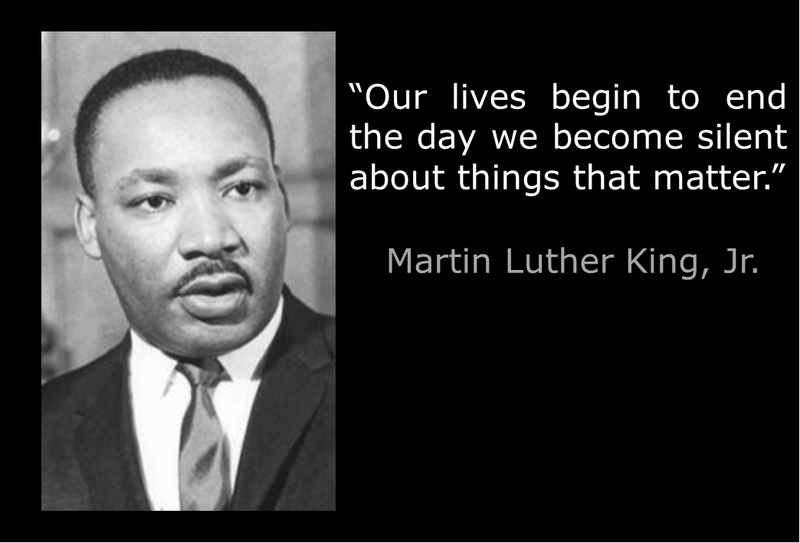 Martin Luther King is Much More than a Holiday: I hope that everyone had a great long weekend. It is important to continue to remember that this long weekend happened in recognition of the great Dr. Martin Luther King. It is difficult to believe in today's world that someone had to stand up for the rights and equality of others and that he was assassinated for his beliefs. That was very unfortunate for all of us. I have always felt that no human should judge another human based on their race, orientation, or beliefs. That is the way I have always led. It is equally embarrassing that we can visit other parts of the United States and still find work to be done, which is why we will continue to educate our children about the power of equality. 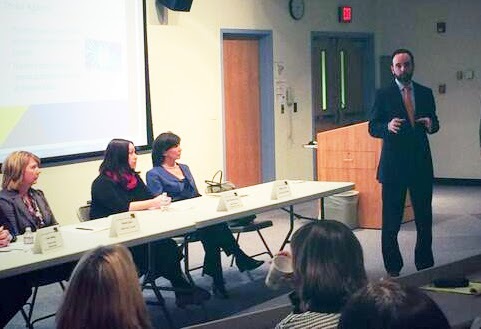 In-Depth Dialogue Includes Common Core: Last week we held the annual Dialogue with the Superintendent. It was very well attended and was the best "Dialogue" that I have been a part of. We spent the first hour or so interacting with parents about a variety of topics. Parents wrote questions down on index cards, and I would read them and then answer them sight unseen. A "stump the band" of sorts. It was a blast. We spoke about the capital project, food service, clubs, activities, and a variety of other topics. We spent the second portion of the evening speaking about the Common Core Learning Standards (CCLS), implementation of the "CCLS", testing, and data collection. While I did use many references that can be found on our website (http://www.westgenesee.org/District/District/District_CommonCore.cfm), we also had a panel of internal experts available to help answer questions. I would like to thank Brian Kesel (Assistant Superintendent for Curriculum and Instruction), Bill Roberge (Director of Technology), Sean Fahey (District Data Coordinator), Michelle Gipe (Math Literacy Specialist), Heidi Beverline-Curry (Special Education Reading Specialist), and Heather Silvia (Literacy Specialist) for their insight and assistance. I would also like to thank the entire audience for how they conducted themselves. The Common Core and related subjects has created some tense and passionate situations. Our audience consisted of those in favor of the "CCLS", those against, and those who just wanted more information. There was also a media channel there as well trying to create some animosity as the evening started. Fortunately, none took the bait and the evening ended up being informative, powerful, and a true two-way conversation. Thank you to all who attended! When an Athlete Gets Hurt: My wife and I had an interesting situation Friday night at the boys basketball game. Our sons have been involved in athletics for a long, long time. They have been injured on several occasions in a variety of sports. When they were young and got hurt we did not think twice about running out onto the field or court to help, and they were always relieved when we showed up. As they have gotten older we have found that it "isn't cool" to go out to help them right away when they get hurt. Our son took a shot and missed and as he went to the basket to follow his shot, he and two players for the other team jumped and collided. The shoulder or elbow of another player hit my son near his eye. We couldn't see it at first, but play was immediately stopped. We could tell from the reaction of the players and referee that something was really wrong. Our son headed calmly to the bench but then it became apparent judging by the reaction of the coaches and players on the bench that he was bleeding badly. He turned around and we could see a lot of blood around his eye from across the gym. We got that tense parent feeling but held tight in the stands as the coaches tried to stop the bleeding. It didn't stop. When the coaches turned to the crowd to try to find us, we of course worked our way over to the opposite sideline in a hurry. Long story short, he ended up with a large cut over his eye, five stitches, and no broken bones or concussion. We were fortunate it wasn't worse. We reminded ourselves just how much our roles as parents change as they grow, but how much they also stay the same when we stopped at the store on the way home from the ER to get him his favorite comfort food just like we did when he was in elementary school! Upcoming Events: Please remember to check our District Facebook page for updates about our sports teams, fine arts programs, and the recent spelling bee. There is a lot going on right now, and if I tried to cover everything here I would be sure to accidentally miss something. Mrs. Russell never misses a thing on Facebook! Community Book Dialogue: Lastly, please remember that the Community Dialogue for the book Petey is happening tonight, January 21, starting at 6:00 p.m. in the high school library. Mr. Newvine is going to lead the group through a second discussion about the book. 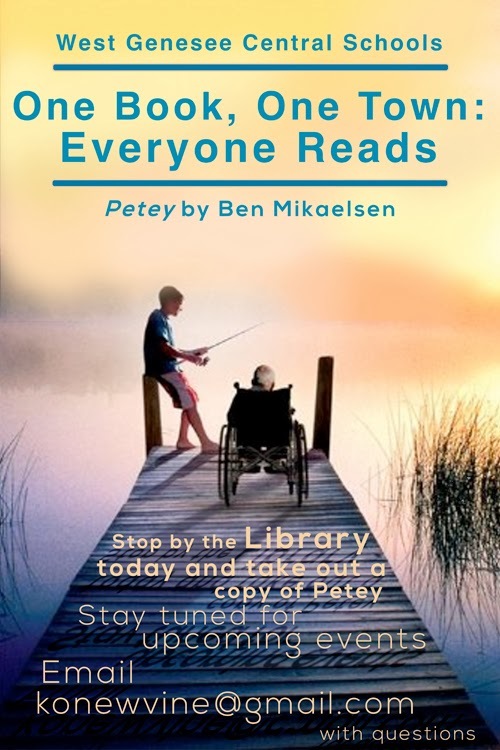 The author, Ben Mikaelsen, will visit on February 7 to discuss the story during the day with middle and high school students and talk with the community that evening at 7:00 p.m. in the high school auditorium. Last week was BUSY! Aside from the cold weather day, we had several rescheduled athletic events, concerts, professional development opportunities, and meetings. This week should be more of a "normal" week as far as those things are concerned, and I am really happy for that! Students Organize a 'Pink Out': It goes without saying that we have compassionate students. One example came last week during a home boys basketball game when two of the players organized a fundraiser for the family of a staff member who passed away last year. 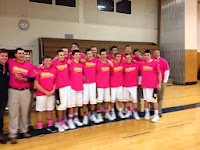 They organized a "pink out", recognized the family, and raised some money for a great cause. They also went on to win the game. Great kids! This is not to minimize all of the other fundraising efforts for the community that happens throughout the District each and every day. This was another new effort that deserved some recognition! Learn Ways to Advocate: There are a few things happening outside of our school district that you might find interesting. 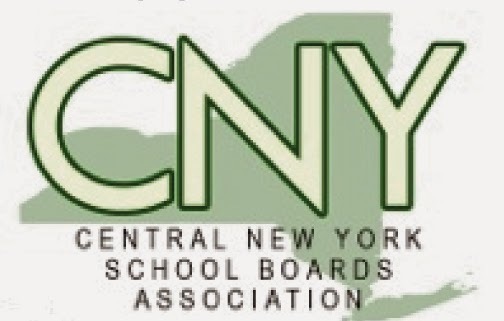 First, the Central New York School Boards Association has organized an event called Our Kids, Our Schools, Our Future (http://origin.library.constantcontact.com/download/get/file/1107312969070-211/Final+FLYER2014-1.pdf) that is being held on February 5 from 6:30 p.m.-8:30 p.m. at North Syracuse Junior High School. This forum is for all people interested in the future of public education to organize and learn about ways to lobby for continued resources for schools. OCM BOCES Vote: The OCM BOCES is also in the process of trying to get away from leasing buildings to house their programs and are investigating the purchase of a building that will house the programs many of our students take. 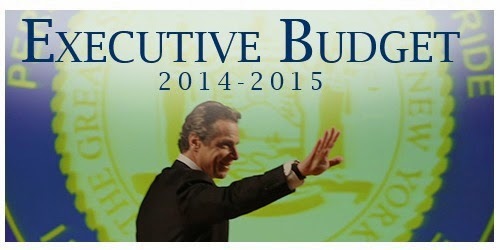 This is a cost neutral effort but would give BOCES more overall control. The vote day is January 23. Plenty of information about voting locations and the actual referendum can be found here: http://ocmbocesnews.blogspot.com/2013/12/ocm-boces-facilities-referendum-january.html. There were not many details given about these initiatives, but I will be sure to provide details and my thoughts as soon as more information becomes available. Talk with the Superintendent: Lastly, please remember that our Dialogue with the Superintendent is going to be held this Wednesday, January 15 from 6:00 p.m.-8:00 p.m. in the high school large group instruction room. The first hour will be for regular questions and the second hour will be a discussion on the common core learning standards and all that surrounds them. Everyone is welcome to attend. How about that Weather? How many times have you heard that? Being born and raised in Syracuse, I am certainly used to the type of weather that we can get. Being a superintendent adds another dimension however. I have closed schools for a variety of reasons for the past fourteen years. I have only closed school due to temperature twice in my career. The decision to close school due to temperature is not a shot in the dark. We generally use -6 regular temperature and -25 windchill as benchmarks to make the decision to delay or close. These recommended temperatures come from a very useful guiding document published by the New York Statewide School Health Services Center (http://www.schoolhealthservicesny.com/a-zindex.cfm?subpage=29). I have used it for years and it proved helpful again. There are going to be plenty of very cold days coming up when we WILL have school, so make sure to dress your children for the conditions! When a G.O.A.T. is not a Goat: Through my travels I always pick up new lingo from the students. Over break I kept hearing about goats. I even saw a shirt with a picture of a goat on it. It was pretty common to hear about goats and see goats when I was superintendent in the southern tier, but the only goats that I see or hear about here have been at the fair. I finally asked a student wearing a goat shirt if he was wearing it because of a cool new movie, singer, rapper, or video game. 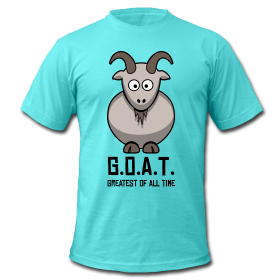 He looked at me perplexed and said, "I am the Greatest of ALL Time, you know…G.O.A.T!". Got it! I was standing next to the greatest of all time, not a kid wearing a goat shirt. I am always learning. I should have asked for his autograph! Upcoming Events: I am really excited for the upcoming weeks. Boys and girls hockey (our girls have been the backbone of the Skaneateles combined girls hockey team) are playing really well; boys and girls basketball are promising; and I now understand wrestling better, so I am not clueless when I attend a meet. Swimmers show me how it is done, and I will also see how real runners, jumpers, and vaulters run, vault, and jump! Our musicians are also getting into mid-year form, and I plan to start visiting the high school musical rehearsals. All good stuff! The annual Dialogue with the Superintendent is on Wednesday, January 15 in the high school large group instruction room. Please note that the time has been changed to 6:00 p.m. so we can spend the first hour talking about all kinds of things. Then the second hour will be dedicated to talking about the Common Core Learning Standards implementation, assessments, and data collection. Hope to see you there. Enjoy the week and I hope to see you at one of our events! Well, we haven't started off the New Year with a snow day in quite a few years, so today's school closing should make some people very happy campers! Time certainly has flown by as we move on to the end of the school year, and we are ready to tackle what the coming months have in store. West Genny Athletes are All-Stars: Prior to the break, Section III girls swimming and diving, boys golf, girls tennis, girls volleyball, girls and boys soccer, football and girls and boys cross country all announced their Central New York all-star and league first second team and honorable mention designations. West Genesee was VERY well represented. For a complete list of recognized athletes please head over to our athletics web page. Congratulations and keep up the good work! 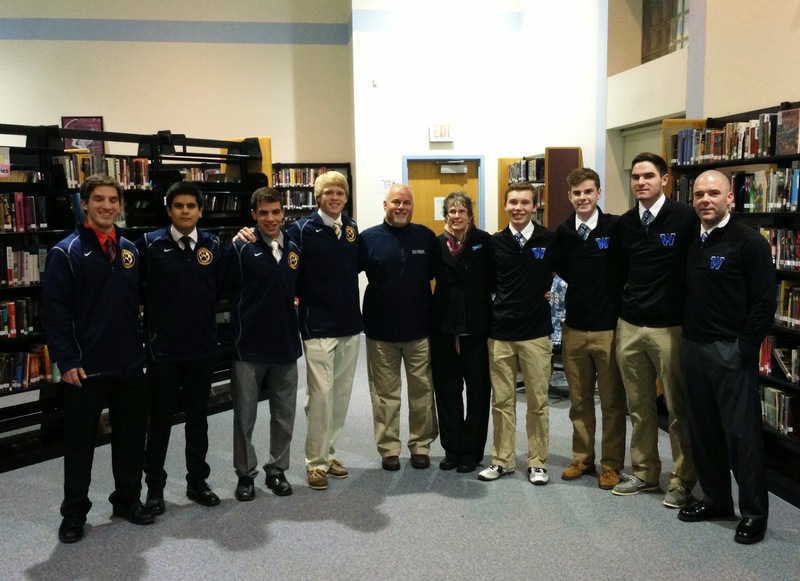 Also our boys soccer team, in partnership with the Westhill boys soccer team, raised and donated $2,700 to help fund the Craig Rienhardt Scholarship. Craig was a varsity soccer player for West Genesee who passed away in 2012. It was great to see the two coaches and team captains working together to donate to a worthy cause. Thank you! Healthy Snacks are Important: We have been working through a pilot After School Snack Program at our high school. Once interaction time begins, we are providing healthy choice snacks so students can get a snack right on campus before an after school activity. The choices include: yogurt, fresh fruit, sunchips, baked lays, pretzels, cheese/cracker w/peanut butter, special K snack bar/power bars, rice krispies, granola bar, belvita, oatmeal cookies, trail mix, zero powerade, vitamin water, water, and milk. Students can pay cash or use their student identification number to make purchases from their MySchoolBucks account. If this continues to be successful, we will look to expand to the middle schools. Investigating Personal Electronics Pilot: We are also about half-way through the investigation process related to another pilot program allowing high school students to use their own electronic devices in school during instructional and non-instructional times. There has been classroom demand by teachers for students to be able to use their own devices to receive instruction. We are also looking at students using their devices during passing times, lunch, etc. 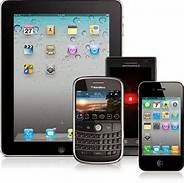 While we are usually the first to the table in the area with most initiatives, we are one of the few schools remaining that does NOT allow devices to be used during school hours. There are plenty of models for us to emulate and plenty of feedback to be received from other schools who have been allowing devices for quite some time. We will send something more formal out when we are ready to begin an actual pilot. 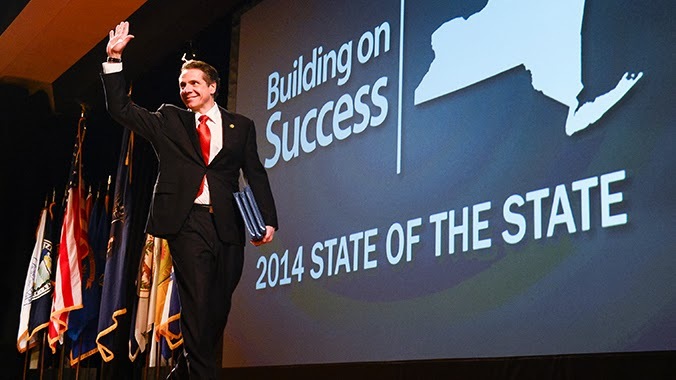 Governor's State of the State: I am anxiously awaiting Governor Cuomo's State of the State address on January 8. I have read pieces from his budget commission and many of the items they have suggested to the Governor could have some major implications on schools and how we operate. Once he has spoken and we have a chance to digest everything, I will be sure to outline how any changes will impact how we do business at West Genesee. Come Talk to the Superintendent: Lastly, I will be holding the annual Dialogue with the Superintendent on January 15. Details will be forthcoming in a future blog, but this is an opportunity for community members to ask me questions in an open format. I think you know that I am very available to talk, but if you want to join other community members in one place and ask questions this is the event for you! I am excited for the rest of this school year and look forward to your continued support.